In the business of crime, it's estimated gas station skimming has become a billion-dollar operation fueled by money, greed and opportunity, some say Florida is doing too little to stop. "If the law is saying all they have to do is put tape on the machines then someone let somebody down, "said Hillsborough County-based digital forensic expert Dwayne Denny." "If there is a new skimming law we definitely haven't seen any changes," said Denny. Also worth noting, 31 stations found in violation involved gas stations like the Sunshine Chevron Station at 4529 Hypoluxo Road in Lake Worth where, in October, state officers from the Department of Agriculture and Consumer Services (DOACS) found no signs that station owners were following the law despite a history there of skimmers breaking the law. In June, a skimming device was found on one of the station's pumps. "What does that tell you," asked investigative reporter Katie LaGrone. "They're not taking it seriously," said Denny. Maxim Alvarez owns roughly 300 gas stations across South Florida and in Naples. He remains hopeful about Florida's new law. "I personally believe it may not be 100% but it has helped," he said. With universal keys, anyone can have access to ATM's at the pump making it easy for a skimming thief to infiltrate the pump with a skimming device. "Get rid of the keys," Dwayne Denny agrees. It's a pricier solution that may not be realistic for smaller station owners. Denny explains how it works. 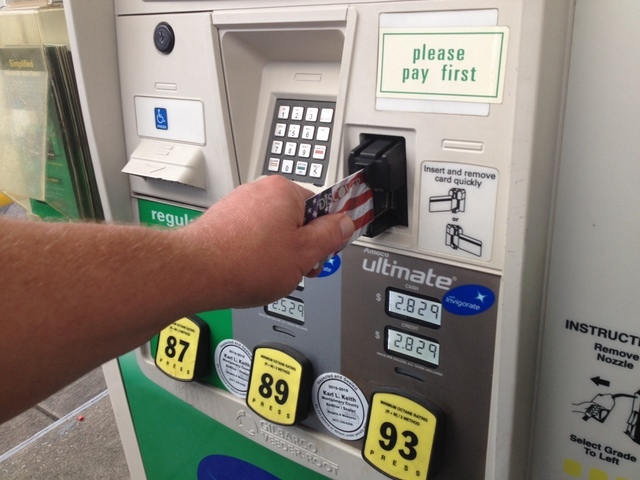 "They [station employees] have to unlock the pumps from the inside," he said. "That's the only way to solve it." "You've got a piece of tape here, at least you know nobody has opened this since the last time it was serviced, that's enough," said FL Senator Dana Young (R-Hillsborough County). She's isn't concerned about the numbers of gas stations already found violating the new law. "There's a bit of a learning curve here. This is something new. It's only been in effect since October 1st," said FL Senator Dana Young (R-Tampa). The following map depicts all gas stations in Florida found to be in violation of FL's skimming law since October 1st and/or found to have skimming device(s) installed on pumps. The data was provided to us by the FL Dept. of Agriculture & Consumer Services. Statement from the Department of Agriculture and Consumer Services:"Protecting Florida's consumers at the pump is one of the highest priorities of the Florida Department of Agriculture and Consumer Services. The new law that went into effect this fall helps protects consumers by requiring a layer of security on pumps to prevent skimmers and toughens penalties against the criminals responsible. If we discover a gas station is not in compliance with the new law, they have five days to correct the issue or the pumps will be shut down. We've worked to educate Florida's more than 8,000 gas stations about the law's new requirements, and we will continue to do so."